As part of your CCW Training, you need Holster Training. 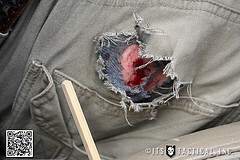 Below is an example of the need to check your holsters for wear. Perform routine safety checks. In ShastaDefense.com classes, instruction is given as to the proper drawing and holstering of a firearm. In the full course, the range live fire exercises incorporate drawing and holstering (5 step presentation). Also, potential dangers of holstering are addressed. The following is another illustration as to why such training is so important. ShastaDefense.com received the following e-mail. This applies to any type of holster. You want to routinely check your holster to make sure it is safe. 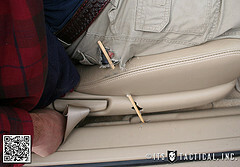 Also, make sure that clothing (as well as any other type of item) is clear of the holster. "Something to be aware of so check your holsters. “What the hell was that?! ?” she said. It took me a half a second to realize that my gun had just gone off…on my hip…in its holster. My wife and I had just finished breakfast at our favorite café and got into the car. Me being the passenger, I rotated my torso to the left to fasten my seatbelt like I always do. When I straightened again, my Glock 19 discharged, blowing a 9mm hole through my pants, under-wear, the leather seat and bottom of the car’s door frame. The bullet nicked my hip, but the wound is nothing a bandage couldn’t cover. So what went wrong? Guns never go “Bang” all by themselves. 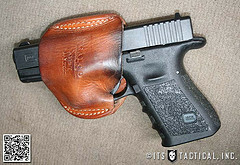 Belt Holster<http://www.usgalco.com/HolsterPT3.asp?ProductID=643&CatalogID=4>, with the gun still in it, off my belt. Why it went off was immediately apparent. 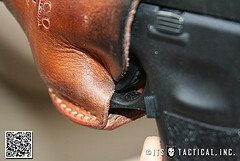 The problem stemmed from the leather on the inner side of the holster getting soft. A crease formed, which eventually was large enough to extend beyond the trigger. 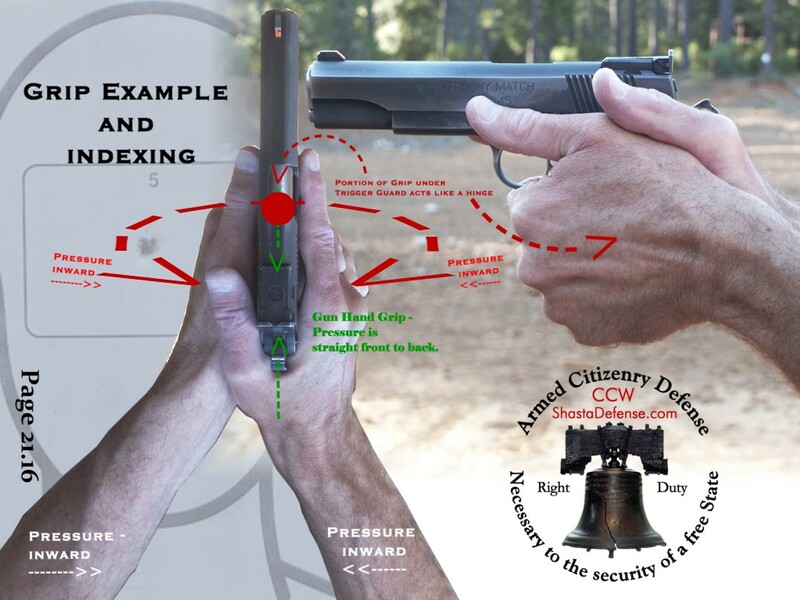 Manipulate the gun in just the wrong manner and this crease is no different than a finger on the trigger. situation where the trigger was engaged by the holster? I don’t think we’ll ever know for sure, but I’ll humbly admit to the former as the likely culprit. possibility of experiencing what I did. It might have been a very different story had the incident happened while we were dining. That bullet ricocheting off the concrete floor could have done untold damage and just as easily killed somebody. Fortunately nobody got hurt and damage to the car was minimal. It will be an interesting conversation with the insurance company to see if they’ll cover the repairs. won’t interfere with your trigger or just replace it. The back of the slide and/or grip was being pushed downward into the leather holster…or the holster was being pushed upward with some force. My guess is the firearm was being pushed and the fold in the holster acted as a finger and depressed the Glock trigger safety. This truly brings home the importance of taking care of your equipment and ensuring it’s in proper working order. Hopefully you can learn from my situation and prevent an accident like this from happening to you.